Elizabeth Warren's video announcement that she'll seek the Democratic nomination for Senate demonstrates her soft-spoken sincerity, unflappability, and quiet conviction that the middle class desperately needs help. I've seen this woman hold her own in one of the more hostile congressional hearings I ever witnessed. She's going to be a very formidable candidate, and every wealthy Democrat in the country is going to want to contribute to her campaign. In making her pitch, Warren plunged herself into a headache-inducing factual controversy. "A big company like GE pays nothing in taxes," Warren said, "and we're asking college students to take on even more debt to get an education?" 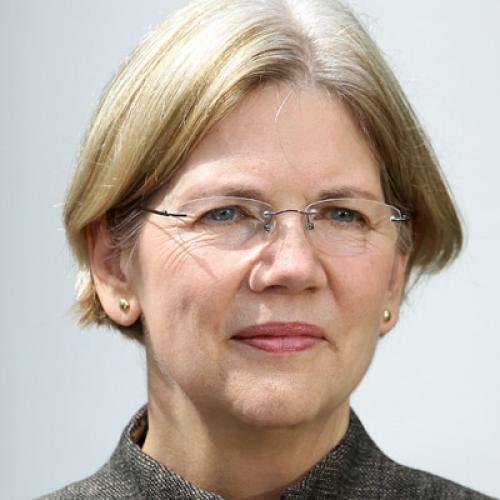 Warren's source that GE paid no taxes (by which she meant income taxes) was a March 24 New York Times story by David Kocieniewski ("GE's Strategies Let It Avoid Taxation Altogether"). But an April 4 Fortune piece by Allan Sloan in collaboration with Jeff Gerth, a former Times man who now works for ProPublica, said that GE actually did pay income taxes for 2010, and will do so again for 2011. It just wouldn't pay very much. "We're certainly not siding with GE," wrote Sloan and Gerth, "which for decades has been an aggressive tax-minimizer." The Times stood by its story, though its op-ed columnist Joe Nocera hedged his bets, citing both the Times piece and the Fortune piece and concluding, "Whatever. The point remains that the company is going to pay little or nothing in federal income taxes for 2010." (Before he came to the Times Nocera worked for many years at Fortune.) Meanwhile, Henry Blodget of Business Insider tried and failed to get a straight answer from GE. He concluded, initially, that "it is not fair to say that GE's 2010 U.S. tax bill was 'none,'" but subsequently he decided that maybe it was fair, at least with respect to income taxes, because GE spokesperson Anne Eisele told Agence France Presse, "GE did not pay U.S. federal taxes last year because we did not owe any." But on the very same day, Eisele wrote Blodget, "GE did pay almost $2.7 billion in cash income taxes in 2010 on a consolidated basis (almost 19% of pretax income from continuing operations) globally, including significant U.S. federal income tax payments." These two statements appear to contradict one another, but she might have been saying that GE paid no taxes for 2009 and some taxes for 2010. A safe conclusion, I think, would be that there was at least one recent year--maybe 2009, maybe 2009 and 2010--in which GE did not pay any income tax. Probably when you work as hard as GE to avoid paying taxes altogether the definition of whether you pay income tax in any given year becomes subject to interpretation. Bottom line is that the Pulitzer committee should feel free to Kocieniewski a prize for his excellent piece, and that Warren is fully justified in saying "GE pays nothing in taxes," because she never said what year she was talking about.